When it’s time to put your clothes in storage for one season or for several years, taking the time to prepare your clothing will make a big difference. Affordable Family Storage offers climate-controlled storage units to ensure your clothing is perfectly preserved. Here are some helpful tips to prepare your clothes for storage. At Affordable Family Storage, we want all of your belongings to be safely preserved. The first and most important step is to wash and dry all clothing thoroughly before storage. Take this opportunity to remove any stains in your clothing, as they will only worsen over time. Make sure that your clothing is completely dry, because any moisture can cause mildew to develop. Fold your clothing carefully, avoiding wrinkles and creases. Clearly labeling your clothing as you prepare for storage will pay dividends in the long run. 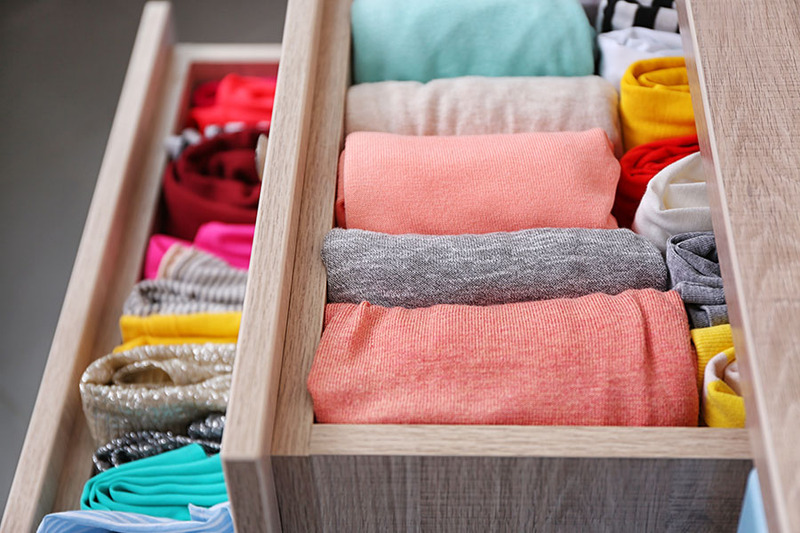 Separate your clothing in the way that makes the most sense for yourself and your family members. We recommend separating seasonal items before storage, so it will be easy to bring the clothes back into rotation when the right weather arrives. At Affordable Family Storage, we want to help you to have easy access to everything you need. The best option for storing clothing over long periods of time is a plastic container with a tight-fitting lid. A sturdy plastic container will ensure that your clothing is not overly compacted, and a secure lid will protect from moisture, dust, and pests. Avoid cardboard boxes for storing clothing. Cardboard boxes cannot protect against pests, moisture, mold, or mildew. Cardboard boxes are great for many storage items, but not for clothing, blankets, towels, or any other fabric items. Vacuum sealing clothes is a good choice, but only if you are not planning to leave the clothes in storage for an extended period of time. For delicate or valuable clothing, it is recommended that you avoid vacuum sealed storage because the compression of the vacuum seal can leave wrinkles that are difficult to get out. Contrary to tradition, using mothballs for storing clothing is not recommended. Mothballs are actually not very effective at preventing pests, and the odor that they leave behind on clothes is unpleasant. A better option is cedar wooden balls, which deter pests without the odor of mothballs. The best way to prevent pests is with a sturdy plastic container with a tight-fitting lid. Cool, dry, and dark conditions are best for preserving your clothing. Managing the temperature, humidity and air quality in the storage environment is the most effective way to protect your stored items. Climate-controlled storage solutions from Affordable Family Storage are available to ensure your valuable belongings are safely and securely preserved for years to come. At Affordable Family Storage, we value the safekeeping of your important belongings. With helpful advice, climate-controlled storage units, and advanced security systems, we believe that your favorite clothes will be safe, secure, and well preserved. For more information, contact us today and visit our website.